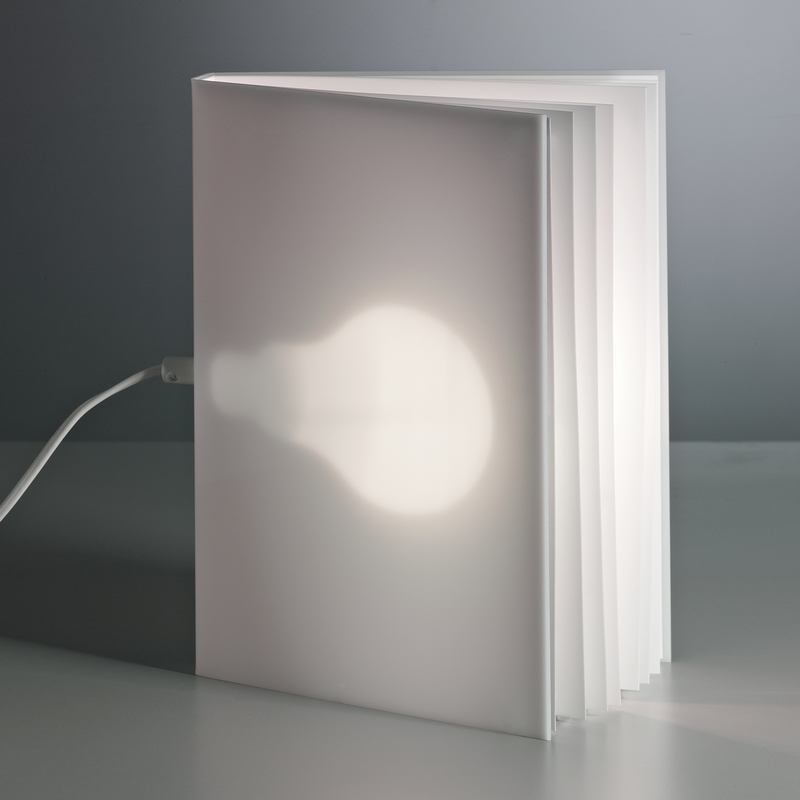 The German manufacturer Tecnolumen offers the VW TL 96 Book Light in a fascinating table lamp, which is by its extraordinary shape, form and their distinctive, diffuse light image to the fixed point of any room. While you can not browse through their pages, if you take the lamp at hand, yet hidden exciting in its interior. In the middle of the perfect image of a book in fact is the source, whose outline is also emerging through the white plastic still outside. In this way, a magical light and shadow, which not only ensures the bookshelf for an attraction. The VW TL 96 Book Light can also be realized in a luminaire concept, because in addition to this table lamp versions in our shop and a version to purchase as pendant lamp. Together, they create an exciting space design. Die Leuchte ist mit dem Tecnolumen-Zeichen versehen.